You can watch the video at the bottom of this post. 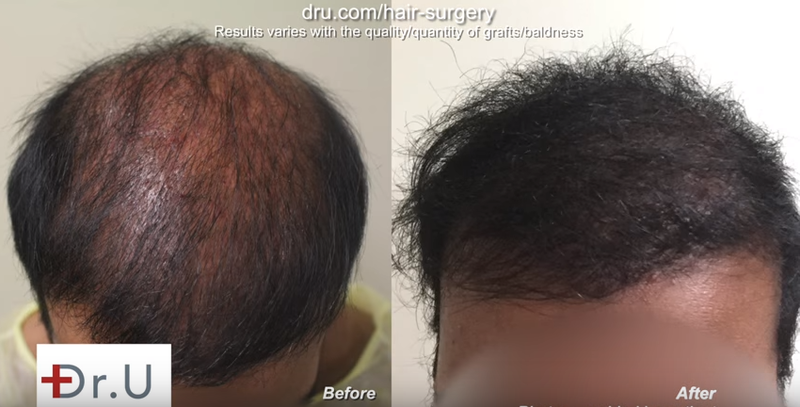 The video above shows the results of how unequipped clinics have left a patient with visible scarring and continued baldness, as well as how Dr. Sanusi Umar was able to help him correct the damages using the Advanced FUE by UGraft method. The unfortunate mistakes made by the clinic could have been avoided using a more advanced method. With the use of body hair as a donor source, Dr. Umar has shown success in repairing these hair transplant mistakes. 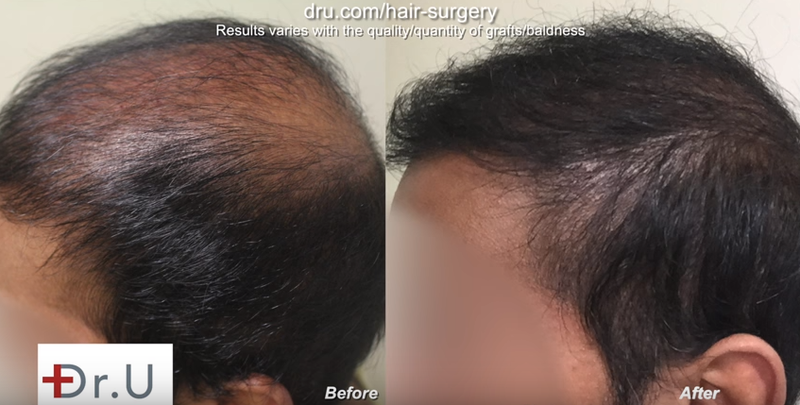 Dr. Umar’s Advanced FUE using the UGraft system has shown promise in avoiding overharvesting using the “FUE Shave Test.” Prior to surgery, the FUE Shave Test is used to fully determine the type of hairs that can be successfully used, as well as the correct treatment for the patient. Over a ten-year span, Dr. Umar has consistently been improving the techniques and procedures using the Ugraft system to ensure that overharvesting is no longer a trend. After only five months the patient saw fuller coverage with Dr. Umar’s UGraft system, as illustrated in the following photographs. The photos below illustrates before and after the patient visited with Dr. Umar. 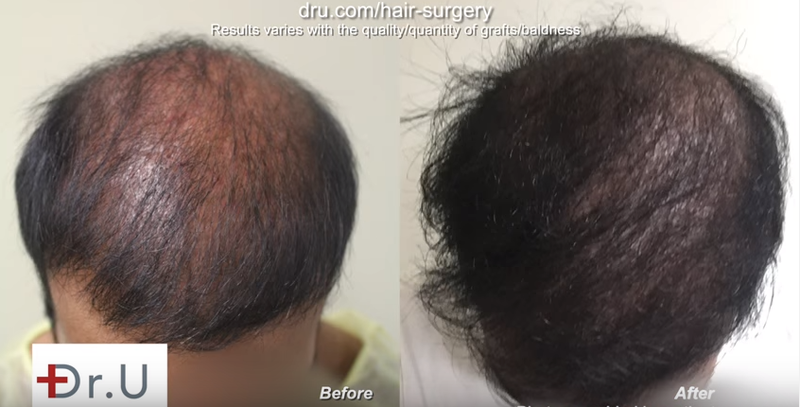 Dr. Umar was able to use the Advanced FUE by Ugraft system to extract 6,000 grafts from the patient’s nape, chest, and beard to craft the patient’s hair. 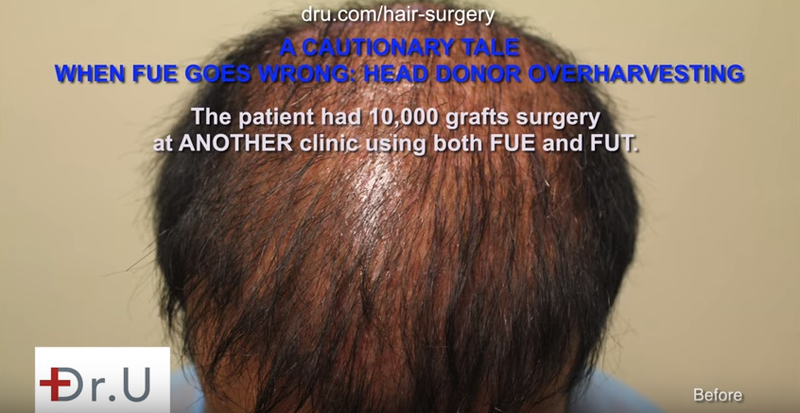 Bad FUE Hair Transplant planning yields incredibly poor results. Dr. U was tasked with correcting for a patient's over harvesting at another clinic.